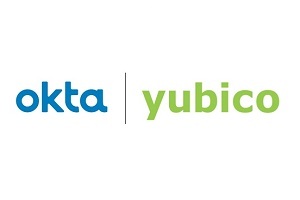 Okta is the leading independent provider of identity for the enterprise. The Okta Identity Cloud enables organizations to both secure and manage their extended enterprise, and transform their customers’ experiences. With over 6000 pre-built integrations to applications and infrastructure providers, Okta customers can easily and securely adopt the technologies they need to fulfill their missions. Yubico sets new global standards for simple and secure access to computers, servers, and internet accounts. Founded in 2007, Yubico is privately held, with offices in Australia, Germany, Singapore, Sweden, UK, and USA. Yubico is a leading contributor to the FIDO Universal 2nd Factor (U2F) and FIDO2 open authentication standards, and the company’s technology is deployed and loved by 9 of the top 10 internet brands and millions of users in more than 160 countries.